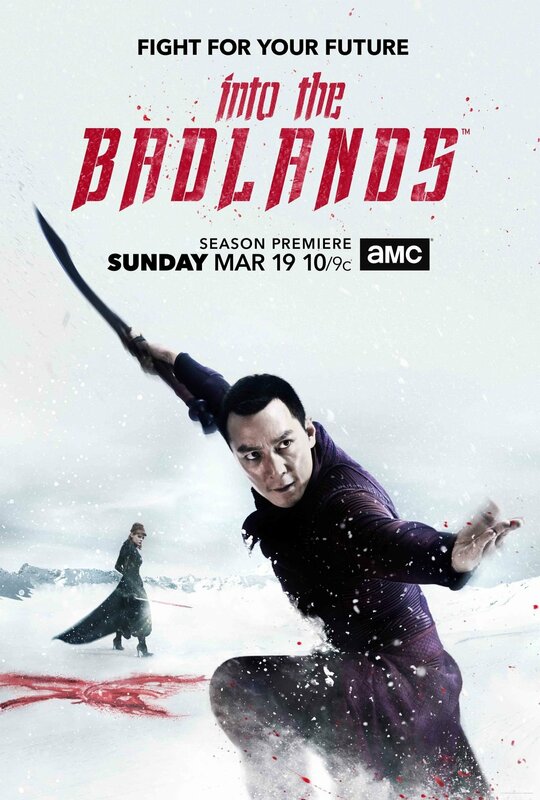 AMC has released the first poster for Into the Badlands Season 2 which you can check out in the gallery below along with some new action shots! The new season premieres on Sunday, March 19 at 10:00 p.m. ET/PT. 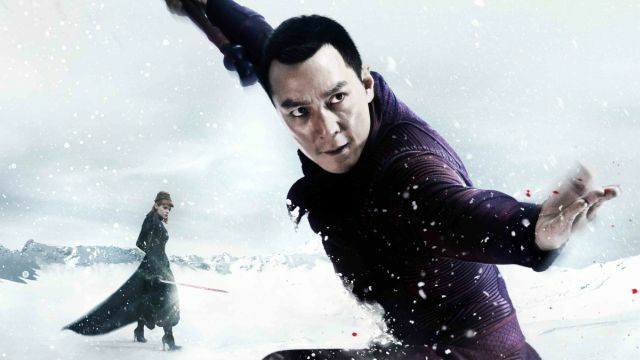 The series stars Daniel Wu (Tai Chi Zero) as Sunny; Marton Csokas (The Lord of the Rings: The Return of the King) as Quinn; Aramis Knight (The Dark Knight Rises) as M.K. ; Oliver Stark (Luther) as Ryder; Emily Beecham (28 Weeks Later) as The Widow; Orla Brady (Dr. Who, Fringe) as Lydia; Sarah Bolger (Once Upon a Time, The Tudors) as Jade; Ally Ioannides (Parenthood) as Tilda; Madeleine Mantock (Edge of Tomorrow) as Veil; Stephen Lang (Avatar, Don’t Breathe) as Waldo and Nick Frost (Shaun of the Dead) as Bajie. Into the Badlands was created by showrunners/executive producers/writers Alfred Gough and Miles Millar and executive produced by Oscar-nominated producers Stacey Sher and Michael Shamberg, director David Dobkin, fight director Stephen Fung and Daniel Wu.